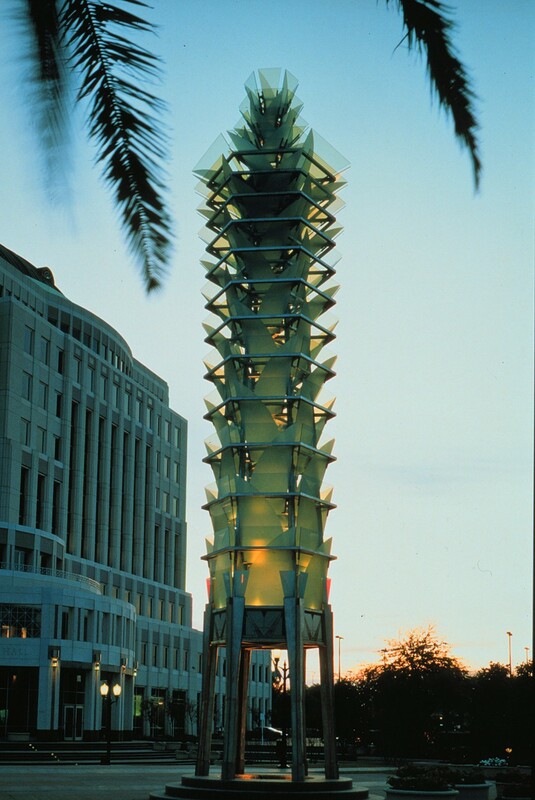 Orlando City Hall Plaza Tower is an illuminated 60′ high stainless steel and laminated glass monument at the heart of downtown Orlando, Florida. 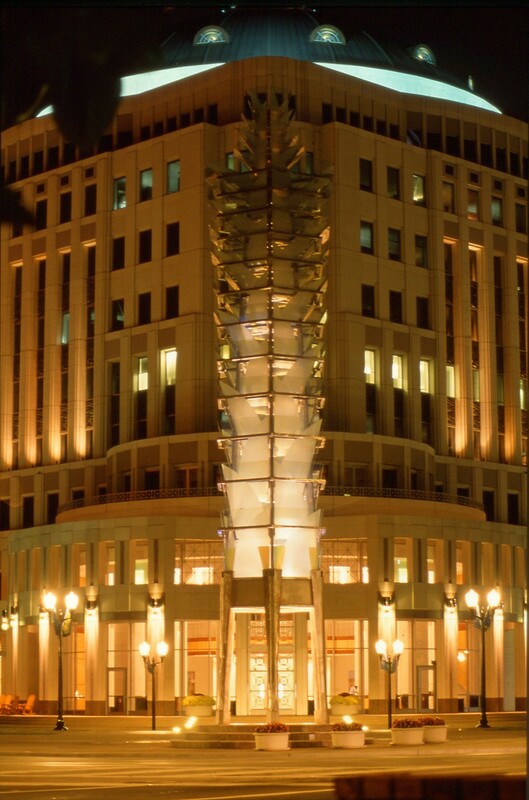 Placed at the point where the centerline of the city´s main business boulevard, Orange Avenue, intersects a diagonal axis from the front door of the new City Hall, the tower celebrates physically and metaphorically the intersection of private and public interests in Orlando, and is a symbol for the aspirations of the community. 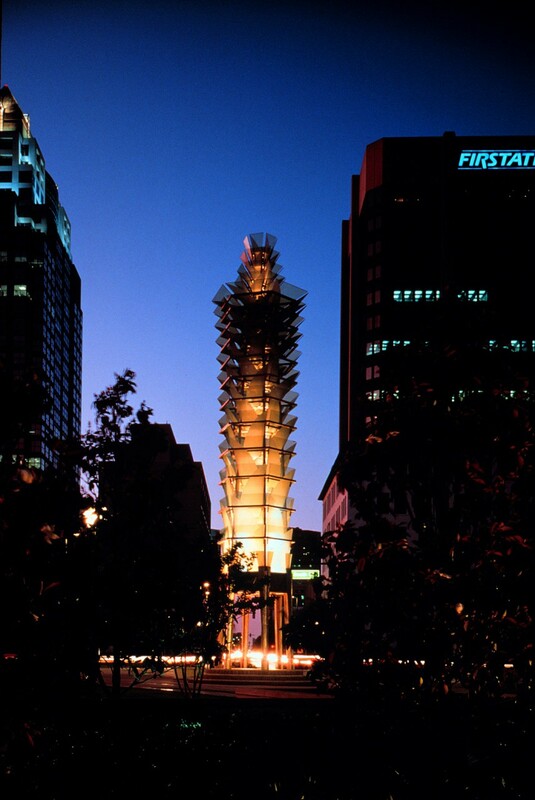 The tower was commissioned after a series of public meetings in which the need for a monument was conceived. 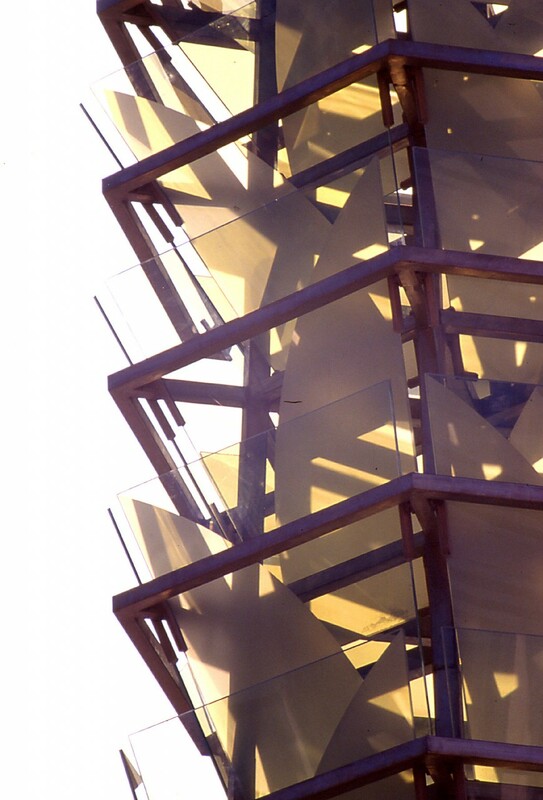 Ed Carpenter designed the tower and oversaw its fabrication and erection, working with a variety of consultants, material suppliers, and fabricators from the U.S. and Japan, as well as on-site contractors. The tower is illuminated at three different levels by computerized lights programmed to accentuate its botanical metaphor. 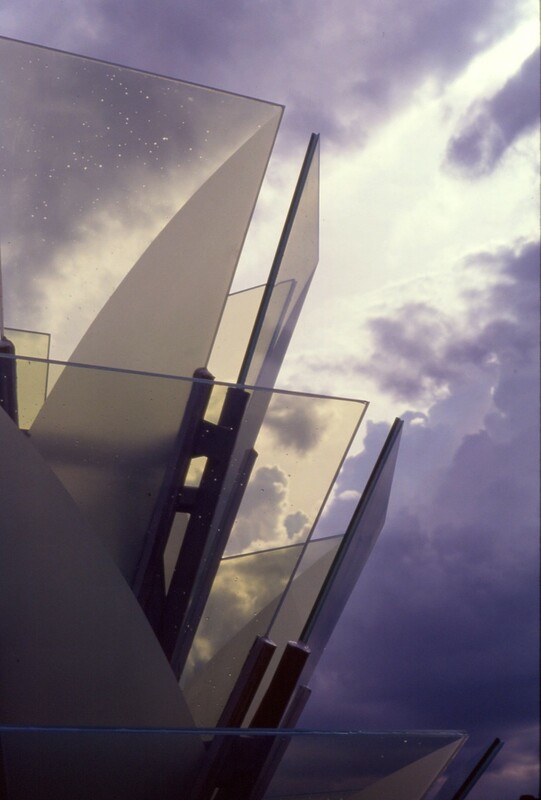 Materials: Laminated plate glass, stainless steel, and computerized lighting. Lighting Design: Craig Marquardt, Boring, Oregon.